Find out about the upcoming Fusion Global events and mark them on your calendar…you’re not going to want to miss them. And we can’t wait to have you! Passover is known as Z’man cheruteinu (The time of our Freedom). All of the elements of Passover are meant to point us to the freedom we have in Messiah. Before He gave His life as the ultimate Passover Lamb, Yeshua (Jesus) had a Seder Meal with His disciples. Just like the passover lamb brought freedom and redemption to the children of Israel, Yeshua (Jesus) laid down His life so we could be free from our personal Egypt’s. During the Passover Seder experience, we retell the miraculous Passover story of redemption that God brought through Moses in Exodus and through messiah Yeshua. 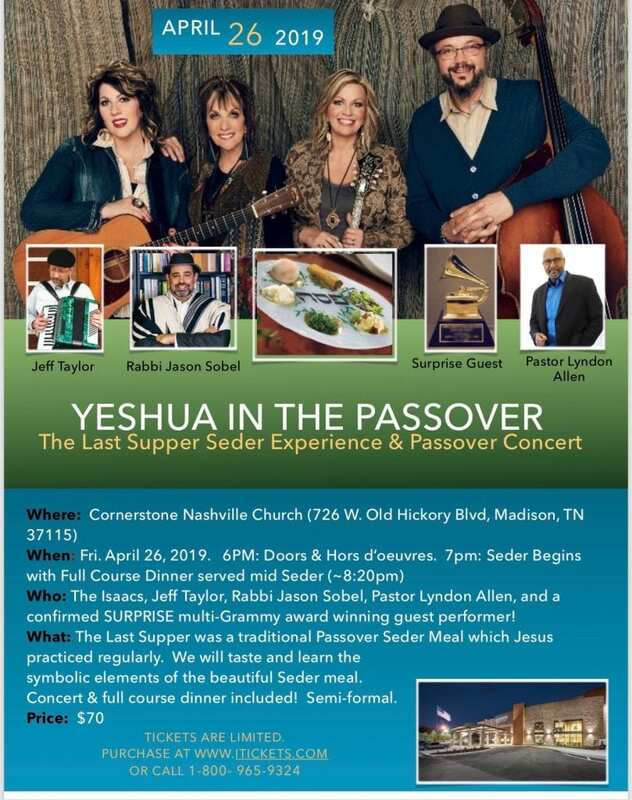 Through itneractive storytelling, food, music, dance, and a vibrant, colorful backdrop, we will engage all five of your senses to help you experience the redemption of Passover in a new way.